This tutorial helps get started with TypeScript in ASP.NET Core using Visual Studio 2017. We will focus on creating famous “Hello World” example. TypeScript can be used with any Web technologies like ASP.NET MVC, any SPA framework or just plain HTML web site. ASP.NET Core is designed as a pluggable framework to add only necessary files, instead of including too many initial stuff. Lets create HTML file named “index.html“ under wwwroot folder. Right click on the wwwroot folder, Add New Item and create an index.html file. This HTML page will act as a default page. For ASP.NET Core to serve static files, we need to add StaticFiles middleware in Configure method of Startup class. 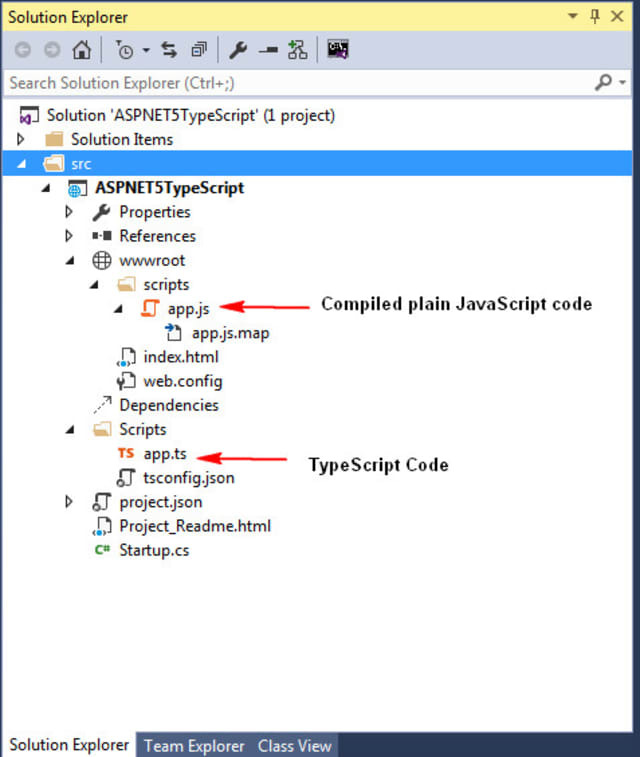 Step 3: What is TypeScript? The language consists of the new syntax, keywords, and type annotations. As a programmer, the language will be the component you will become most familiar with. Understanding how to supply type information is an important foundation for the other components because the compiler and language service are most effective when they understand the complex structures you use within your program. 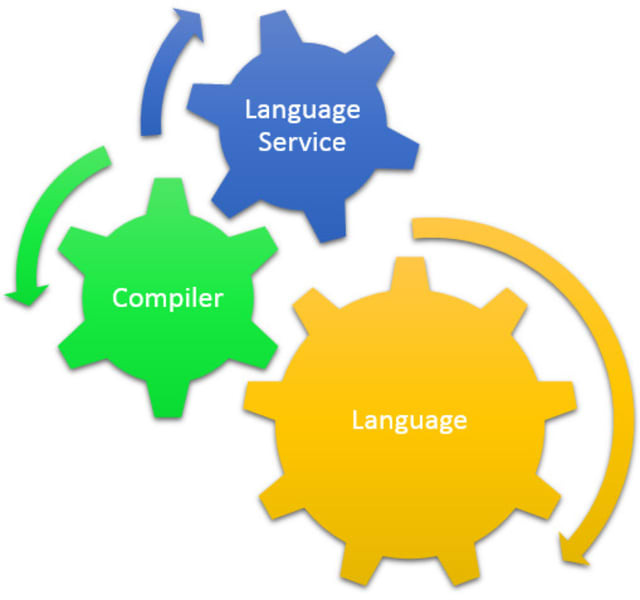 The Language Service provides type information that can be used by development tools to supply intellisense, type hinting, re-factoring options, and other creative features based on the type information that has been gathered from the written program. Firstly created “Scripts“ folder by right click project “AspNetCoreTypescript”. Here in this folder, we will add TypeScript Configuration file to use various settings of typescript. Right Click on “Scripts” folder, Add new file by selecting from template TypeScript JSON Configuration File. Now lets open “tsconfig.json“, we need to add configuration entry as “outDir“ i.e. Output Directory so that compiled TypeScript files are copied there. Just compile once to see that app.ts is compiled to app.js under wwwroot folder along with its mapping. Run the application, Click the “Click Me” button to see a welcome message. TypeScript is special because it can do Type checking when doing a build. Function “Welcome“ takes a string as a parameter. What if I make it as a number and check? Let’s see what is happening here. Function “Welcome” takes parameter “Person” as number making it strongly typed. Build errors clearly stating that its assignment error. This is one of features TypeScript provides, making it special.